The Internet is a major source of health-related information for parents of sick children despite concerns surrounding quality. For neurodevelopmental disorders, the websites of advocacy groups are a largely unexamined source of information. We evaluated treatment information posted on nine highly-trafficked advocacy websites for autism, cerebral palsy, and fetal alcohol spectrum disorder. We found that the majority of claims about treatment safety and efficacy were unsubstantiated. Instead, a range of rhetorical strategies were used to imply scientific support. When peer-reviewed publications were cited, 20 % were incorrect or irrelevant. We call for new partnerships between advocacy and experts in developmental disorders to ensure better accuracy and higher transparency about how treatment information is selected and evidenced on advocacy websites. This research was generously supported by NeuroDevNet, Inc. The authors’ work related to this study is also supported by CIHR/INMHA CNE #85117, the Canadian Foundation for Innovation, the British Columbia Knowledge Development Fund (JI, Principal Investigator), and the Wellcome Trust (LW). JI is the Canada Research Chair in Neuroethics. Boyer, C., Provost, M., & Baujard, V. (2002). Highlights of the 8th HON survey of health and medical Internet users. Health on the net foundation. Accessed 28 May, 2011. Available from www.hon.ch/Survey/8th_HON_results.html. Di Pietro, N. C., Whiteley, L., Illes, J. (2011). 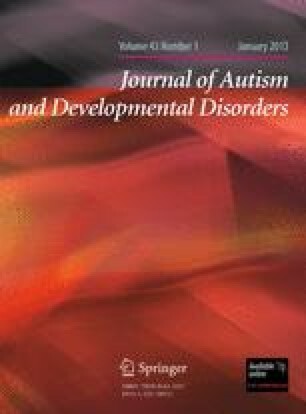 Treatments and services for neurodevelopmental disorders on advocacy websites: Information or evaluation? Neuroethics. doi: 10.1007/s12152-011-9102-z. The National Center for Complementary and Alternative Medicine. (2010). Accessed 25 September 2010. Available from http://nccam.nih.gov/.